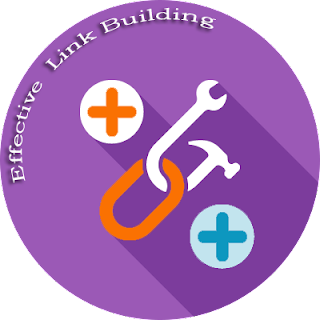 Link building is vital to your online prosperity and article marketing is said to be one of the best ways to build links. Why do you need to build links? Essentially its quality backlinks that to a large extent help determine your rank in the search engines like Google or Bing. Most Search Engine Optimization strategies you undertake is for receiving links to your site so you can get to the desired number one spot. Article marketing involves using articles to expose your site. The more people know and about you, the better your chances of getting links. This will eventually lead to more traffic, to pull you up in the search engine rankings. Submitting articles to the various article directories is one of the best ways to achieve this. What you do is, submit original quality articles to the top ranking directories. You can easily do a Google search to find them. Ezine Articles is ranked among them. When your article has been approved and published, you’ll get a link from the particular directory leading back to your site. But wait, it gets even better. You can generate even more links from other website owners if they find your article interesting enough to publish it on their own site. This is dependent on them leaving your original resource box intact of course. Let’s be quite honest here, article marketing can be challenging for some people. If you don’t enjoy writing that’s one thing, you can always outsource this task. But if you don’t like writing and you’ve just started your online business on a budget then you’ll find this task more challenging. A possible solution is, to find friends or family members who don’t mind writing and are willing to help you out for free. With article marketing, patience and consistency will have to become your two best friends. You won’t get to the top of the search engines in only a few weeks of starting an article marketing campaign. Well, you could, if you were an SEO guru but, are you? So, you need to be consistent with your submissions, even if it’s just once each week. Article marketing is a slow process of link building but it’s one way of building natural links to your site that the search engines love. They will reward you handsomely for your efforts by pulling you up the ranks in time if you remain patient, consistent and keep writing quality articles. Tom Denton - Author - Thanks for this great article!